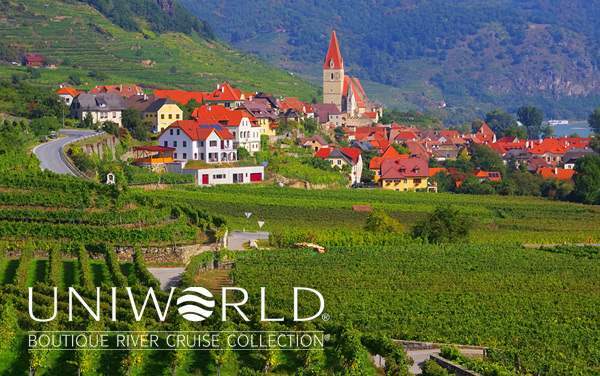 Uniworld’s boutique river ships are visually stunning, and you get your own little piece of the ornate furniture, rich textures and smooth surfaces in your stateroom. 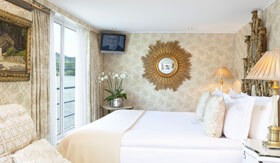 Being a true luxury river cruise line, the glamour doesn’t stop at the visual. You’ll sleep on a handcrafted Savoir of England bed and bathe with L’Occitane en Provence products. 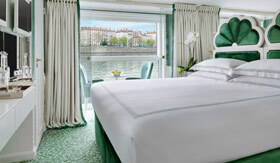 The staterooms on each Uniworld river ship vary, but you can expect unique elegance and comfort from each and every room. 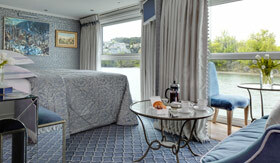 All rooms come with complimentary bottled water and plush towels for a relaxing shower. 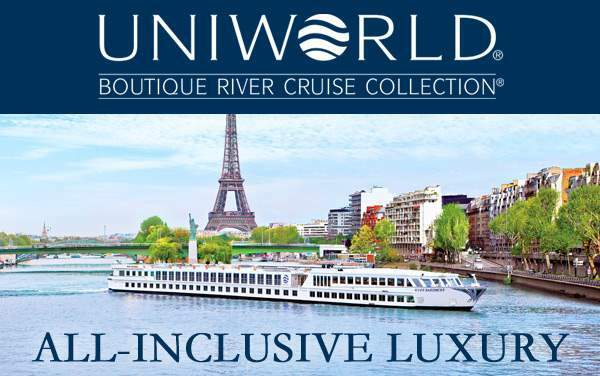 With expansive and transformative views, a Suite on a Uniworld river ship provides you with the wonderful comforts of home, with outstanding views only available on the river. Uniworld’s luxurious Suites also come with special services like a Nespresso coffee machine, free laundry, free shoeshine and a bottle of wine upon arrival. 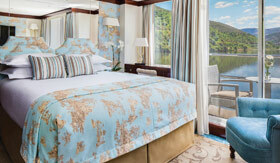 Some of Uniworld luxury river ships include smaller Junior Suites, which have many of the same amenities of the regular suites, including an iPhone/iPod player/dock, flat screen TV and gorgeous views of the river. 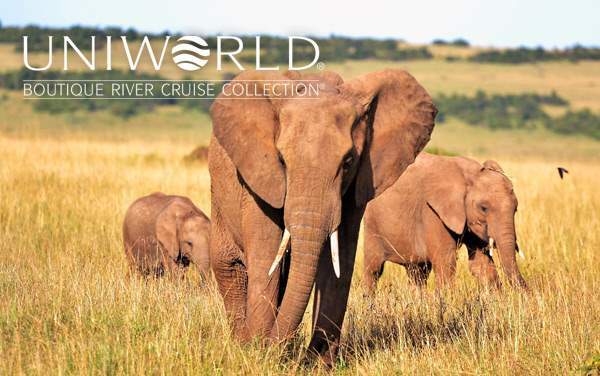 Whether it’s called an Owners Suite or Presidential Suite, these are the most exclusive and largest staterooms on a Uniworld river ship. Along with all of the benefits of a regular suite, many of these special suites include a marble bathroom, a bathtub and butler service.